‘Israel is the light onto the nations’ says the Torah. Indeed it is, and not just because the Torah says so. Israel is ahead of everyone else in many fronts. Take for instance, terrorizing civilian populations and practicing some of the most devastating murderous tactics upon elders, women and young. The Jerusalem post reported yesterday that the Chairman of NATO's Military Committee, Admiral Giampaolo Di Paola, visited Israel earlier this week to study “IDF tactics and methods that the military alliance can utilise for its war in Afghanistan.” A senior Israeli defence official added "The one thing on NATO's mind today is how to win in Afghanistan…Di Paola was very impressed by the IDF, which is a major source of information due to our operational experience." I would advise both the Israeli official and Admiral Di Paola to slightly curb their enthusiasm. The IDF didn’t win a single war since 1967. Yes, it murdered many civilians, it flattened many cities, it starved millions, it has been committing war crimes on a daily basis for decades and yet, it didn’t win a war. Thus, the IDF cannot really teach NATO how to win in Afghanistan. If NATO generals are stupid enough to follow IDF tactics, like the Israeli generals, they will start to see the charges of war crimes pile up against them. They may even be lucky enough to share their cells with some Israelis in due course, once justice is performed. Admiral Di Paola spent two days with the infamous IDF Chief of Staff Lt.-Gen. Gabi Ashkenazi, the man who led the IDF into Gaza last December. However, it would be crucial to elaborate on the emerging mutual interests between the two parties, Israel and NATO. “During their meeting on Wednesday, Ashkenazi and Di Paola discussed ways to upgrade Israeli-NATO military ties as well as the plan to include an Israeli Navy vessel in Active Endeavor, a NATO mission established after the 9/11 attacks under which NATO vessels patrol the Mediterranean to prevent illegal terror trafficking”. This is indeed a necessary move for the Israelis. At the moment the Israeli Navy is operating in the Mediterranean as a bunch of Yiddish Pirates (Yidisshe Piraten), assaulting, hijacking and robbing vessels in international waters. Once operating under the NATO flag, the Israelis would be able to terrorise every vessel in the high seas in the name of the ‘West’. For the Jewish state this would be a major step forward. Until now the Israelis have been committing atrocities in the name of the Jewish people. 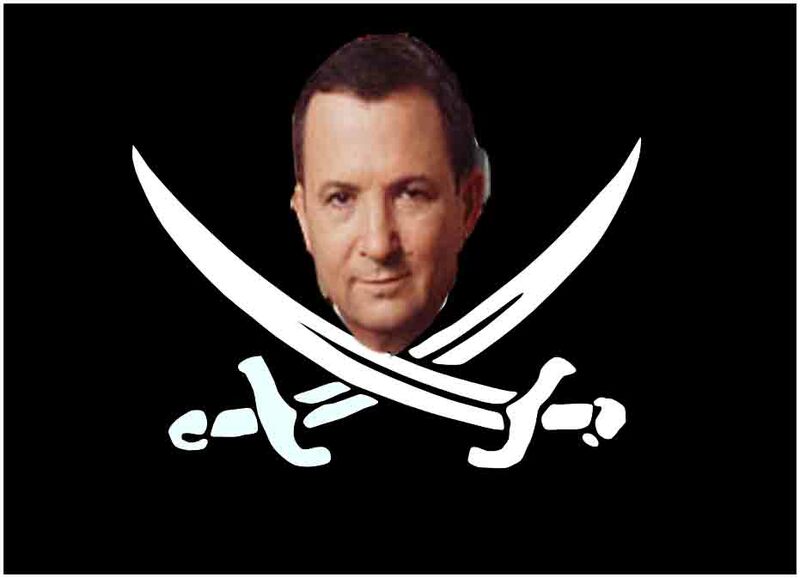 Once operating under the NATO flag, the Israelis will be able to perform their piracy in the name of ‘Europe’. Such a move is further evidence of the spiritual and ideological transition within Zionism from ‘promised land’ into ‘promised planet’. I would suggest to Admiral Di Paola to immediately read the Goldstone report thoroughly, so he grasps his own personal legal consequences once he starts to implement ‘Israeli tactics’. If Admiral Di Paola wants to serve his army, he should indeed visit Israel, he should also meet every war criminal both in the military and politics so he knows exactly what NOT to do. NATO’s chances of winning in Afghanistan are not limited, they are actually exhausted. It can only lose. Some military analysts and veteran generals argue that it is lost already. NATO has brought enough carnage on the Afghani people without achieving any of its military or political goals. Given that Israel was severely humiliated in Lebanon in 2006 by a tiny paramilitary Hizbullah and failed to achieve its military goals in Operation Cast Lead in its genocidal war against Hamas, there is nothing for NATO to learn from the Israelis. Should NATO proceed in implementing added IDF tactics, all it will achieve is a dramatic reduction of security across Europe and America. If we are concerned with peace and we want it to prevail, what we have to do is to move away as far as we can from any spiritual, ideological, political and military affiliation with Zionism, Israel and its lobbies. If ‘Israel’ is indeed a ‘light onto the nations’, someone better explain to us all, why its prospect of peace is becoming slimmer and darker. My answer is actually simple. Israel can be easily seen as the ‘light of nations’ as long as you learn from Israel what not to do. In fact this is the message passed to us by the great humanist prophets Jesus and Marx. Love your neighbour, be among others, transcend yourself beyond the tribal into the realm of the universal. In fact this is exactly what the Israelis fail to grasp. For some reason, they love themselves almost as much as they hate their neighbours. If Admiral Di Paola wants to win the hearts and the minds of the Afghani people (rather than ‘winning a war’), he should first learn to love. This is something he won’t learn in Jerusalem or Tel Aviv. Gaza, Ramallha and Nablus are more likely.